Forgiveness is not just an act of grace; it also serves as an act of healing and self-preservation for the person doing the forgiving. It has been five months since I promised you a commentary on forgiveness. Forgive me that it has taken so long to deliver it. I think I’ve struggled with writing this post because I am not a good forgiver at times. As someone who professes to be a Christian, I know I should forgive others because of the forgiveness that a loving God has shown me for my offenses against him in the form of my sins. Yet there are times when I am not quick to let go of the anger I feel toward a person who has inflicted pain upon me or someone I care for. It is why I am amazed by the forgiveness often displayed by people who have lost the lives of family members and friends to senseless acts of violence. And, sadly, the mass shootings that are occurring with greater frequency in the United States give us no shortage of examples of this magnitude of forgiveness. The entire interview is worth watching. But for those who don’t have the time, I’ll highlight a few comments by survivor Polly Sheppard that particularly struck me. Asked by Kotb whether she was livid with the shooter and would have liked “to just take the guy by the throat,” Sheppard said she felt that way at first. But then she thought about her friend Felicia Sanders, who lost her son in the shooting, and said that if Felicia could forgive the killer, she needed to forgive him, too. A failure to let go of the anger or hate you may feel toward an offender only causes that anger or hate to build and eat away at you, to the point where it can consume and ultimately destroy your body, your mind and your spirit. Alan Simpson, the former U.S. senator who spoke at the funeral of his friend George H.W. Bush, said during his eulogy that the late president understood the value of not carrying hatred toward others even in the rough-and-tumble world of politics. “He knew what his mother and my mother always knew: Hatred corrodes the container it’s carried in,” Simpson said. None of us is born with a forgiveness gene. Forgiveness is a choice — a point well-made by television’s “Dr. Phil,” psychologist Phil McGraw, in this 90-second clip with Oprah Winfrey. Not that it is an easy choice, mind you. It takes a conscious effort to forgive someone. That’s especially the case when the offending party doesn’t ask for your forgiveness and likely never will. Also, forgiveness does not mean you forget or somehow condone the wrongful act. Rather, forgiveness means you decide you will not continue to carry the baggage of bitterness that can weigh down your life. 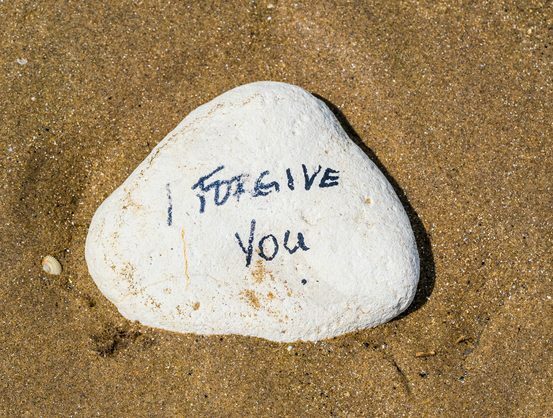 For people of faith, perhaps the most compelling reason to forgive is found in the “what goes around, comes around” nature of forgiveness as laid out in the Bible. The choice of whether to forgive clearly is ours. We also will reap the consequences of that choice. It seems authorities from Dr. Phil to God himself believe the wise choice is to forgive. For those of you who signed up to follow these posts, I want you to know that the nature of the blog is going to take a small turn. I no longer will write strictly on how to create successful workplaces. Instead, I’ll also be sharing thoughts on how to live a successful life by embracing the wisdom laid out in the Bible. If you no longer want to follow “A Dose of Dodosh” because of the change, I fully understand, though I hope you give it a chance before you head for the exit. In the meantime, I want to thank my friends Jerry Kelsheimer, Linda Patterson Sickinger and Joe DiNardi and my sister Laura Natoce for encouraging me to continue to write.